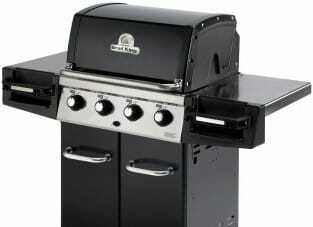 Available options include form-fitted grill cover, smoke shelf (upper rack) and front shelf. 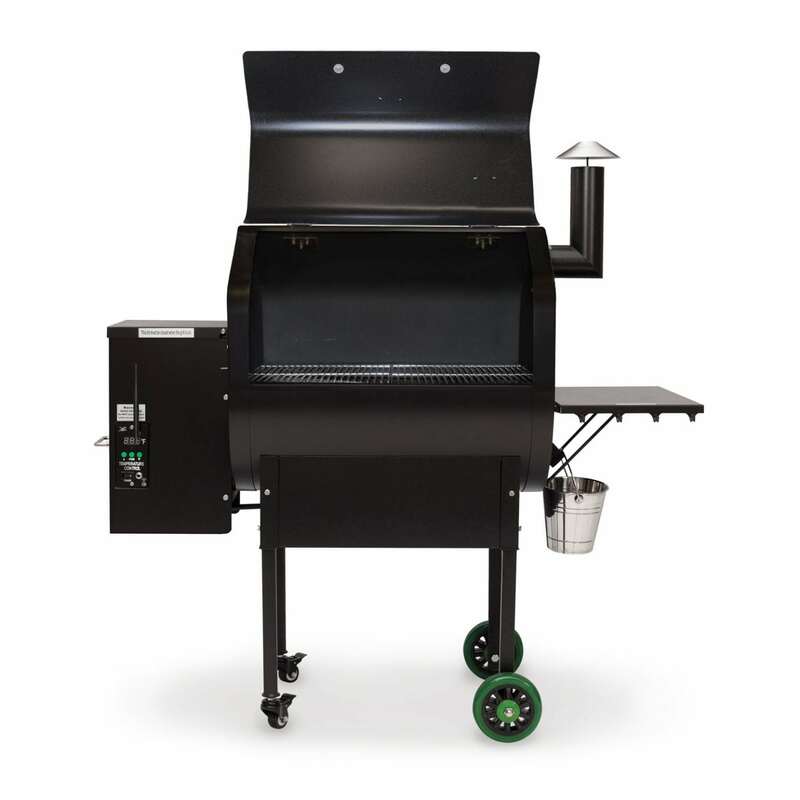 The Daniel Boone WiFi Model comes with a digital WiFi controller (control and monitor through our iOS or Android mobile application), a meat probe, a peaked lid for stand-up chicken/large fowl/rib racks, a convenience tray with utensil hooks, hard rubber tires, and a venturi-style firebox for cyclone combustion. It also has Sense-Mate, a thermal sensor which constantly monitors the ambient temperature. 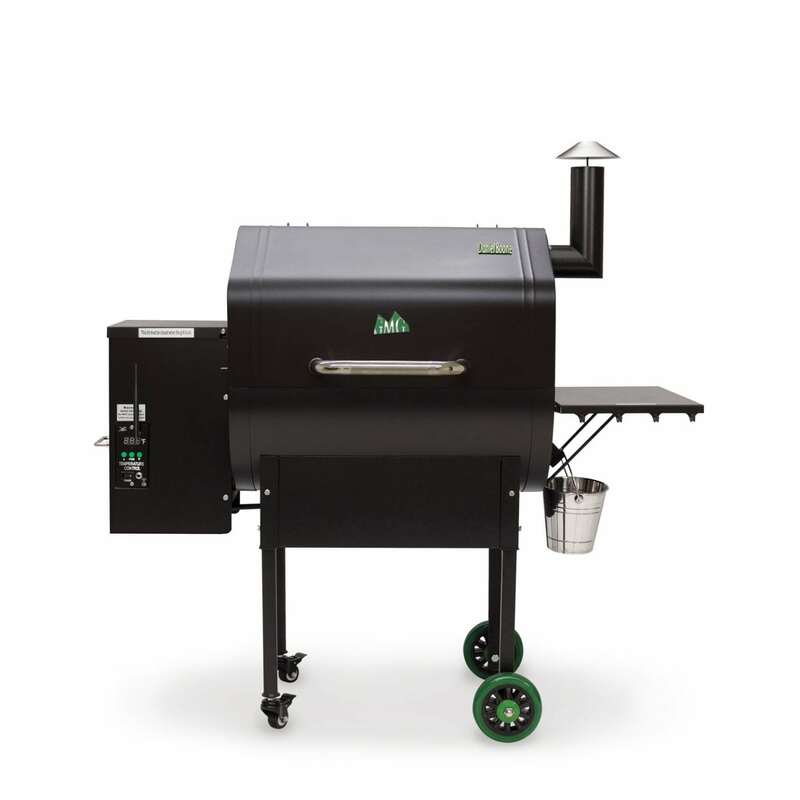 When the weather gets cold, the sensor kicks the grill into Turbo mode, so you don’t have to wait long for the grill to heat up! Other features include a positive pressure hopper fan to prevent burn-back, “fan only” mode with automatic shut-off to blow ash out of the firebox after you finish grilling, a 2822 sq. cm.cooking surface and a clearance height of 34cm inside. Surface Cooking Area 2822 sq. cm. A motor turns the auger which feeds pellets into the firebox. 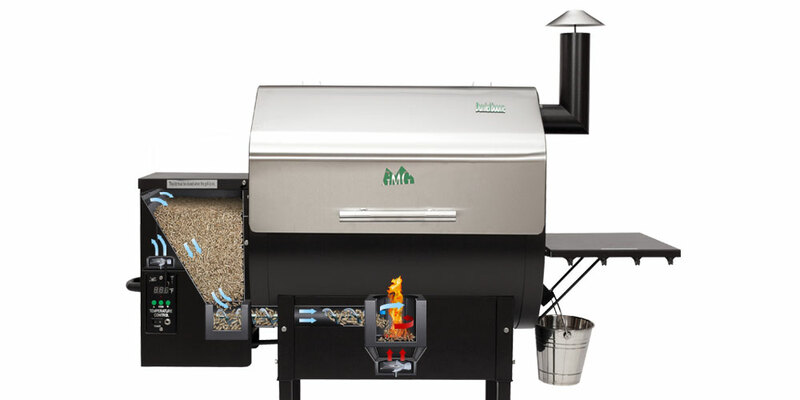 There, a hot rod automatically ignites the pellets, and a combustion fan below keeps them burning. Vents vertically line the inside of the Firebox creating a circular air flow. 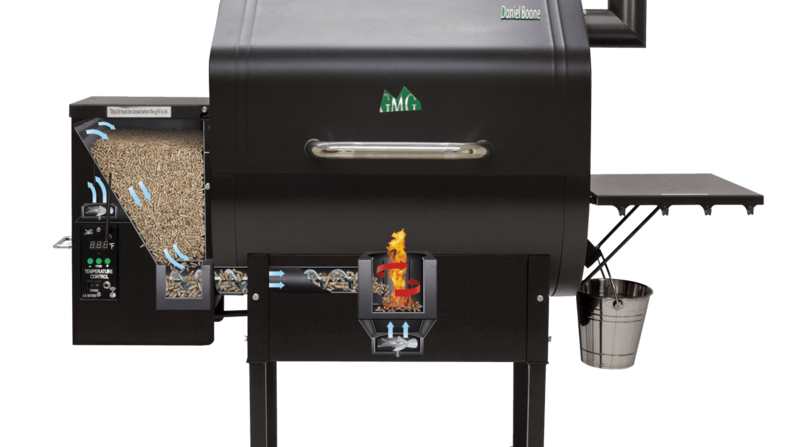 A fan inside the Pellet Hopper maintains positive pressure which prevents burn-back in the auger tube. When met these two air flows create the ultimate wood burning fire circulating pure hardwood smoke flavour.